In June 1306 Bruce was defeated at the Battle of Methven. In August he was surprised in Strathfillan, and fled to the islands on the western coast of Scotland. 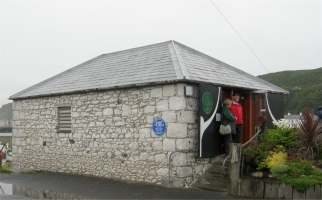 There is speculation that this interval was spent on Rathlin Island. According to legend, Bruce hid himself in a cave there, where he watched a spider trying to spin a web. Each time the spider failed, it started all over again. Inspired by this, Bruce returned to inflict a series of defeats on the English, thus winning him more supporters and eventual victory. However, this legend only appears for the first time in a much later account, “Tales of a Grandfather” by Sir Walter Scott, and may have originally been told about his companion-in-arms Sir James Douglas (the Black Douglas). Edward I marched north again in the spring. However, on 7 July, he died, leaving Bruce to now be opposed by his feeble son, Edward II. Bruce and his followers returned to Scotland in February 1307 and in a series of battles began to defeat his enemies. In March 1309, he held his first Parliament at St Andrews, and by August he controlled all of Scotland north of the River Tay. The following year, the clergy of Scotland recognised Bruce as king at a general council. 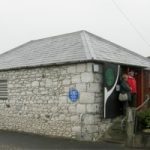 Between 1309 and 1314, in a series of guerrilla actions he captured many English held castles and outposts also raided northern England and the Isle of Man. Eventually Bruce secured Scottish independence from England militarily at the Battle of Bannockburn in 1314. 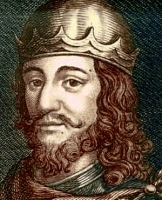 Pope John XXII eventually lifted Bruce’s excommunication and in May 1328 King Edward signed the Treaty of Edinburgh-Northampton, which recognised Scotland as an independent kingdom, and Bruce as its king. 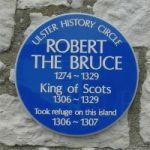 Led by his brother Edward, Bruce’s forces also invaded Ireland in 1315, supposedly to free the country from English. 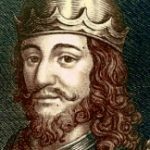 The Irish crowned Edward Bruce as High King of Ireland in 1316. Robert later went there with another army to assist his brother. The Bruce campaign to Ireland was characterised by some initial military success. However, the Scots failed to win over the non-Ulster chiefs, or to make any other significant gains in the south of the island, where people couldn’t see the difference between English and Scottish occupation. Eventually it was defeated when Edward Bruce was killed at the Battle of Faughart.